Free shipping. Buy direct from HP. 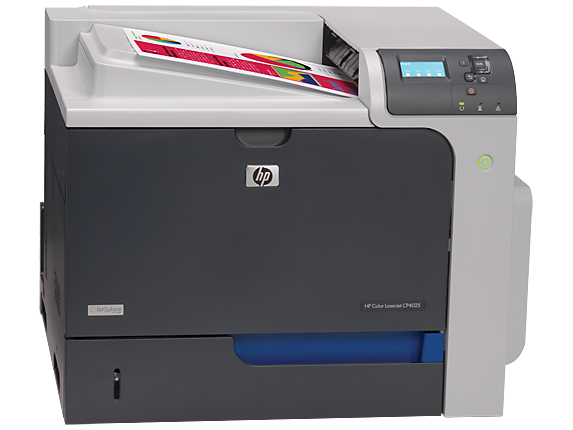 See customer reviews and comparisons for the HP Color LaserJet Enterprise CP4025n Printer. Upgrades and savings on select products. 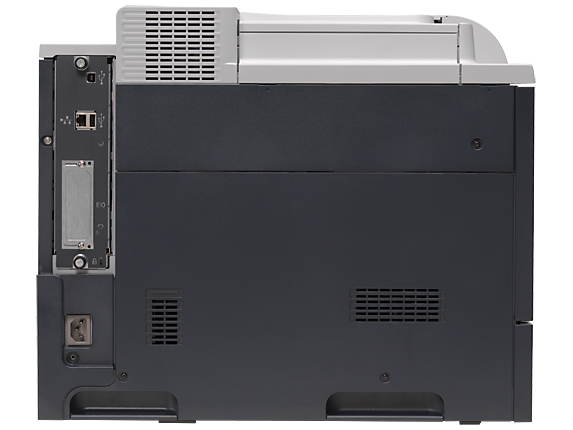 Small workgroups that need a network-ready laser printer for efficient color printing. Print documents rapidly with speeds up to 35 ppm letter/35 ppm A4 and a first page out in as fast as 9.5 seconds.Handle a steady stream of print jobs with 512 MB memory—expandable up to 1 GB. Easily integrate enterprise-ready networking and robust security options into your printing setup. Achieve consistent, professional color quality on every print job. Advanced color features ensure every print job produces professional-quality, color documents.Receive consistently outstanding results, using reliable supplies designed specifically for your printer.Save IT time and make printing easy for every user in your managed environment by using the HP Universal Print Driver and HP EasyColor. Print on a broad range of media types—including everyday and glossy papers—ideal for presentations and marketing materials. This versatile printer can also handle a wide variety of sizes—A4, letter, labels, envelopes, transparencies and cardstock. Produce documents efficiently with a paper capacity of 600 sheets—expandable to 1100 sheets. 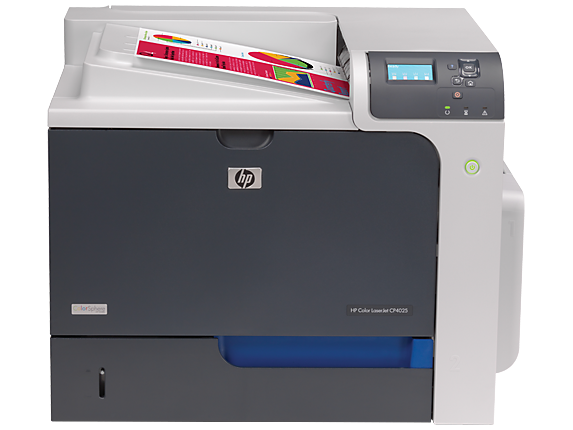 Reduce installation and setup time—Original HP toner cartridges are pre-installed.Improve printing efficiency with HP Advanced Auto Media Sensing and a 4-line color control panel with auto-navigational help.Twenty-five years of continuous innovation and reliable, professional-quality printing—HP LaserJet remains the brand businesses count on. Get up to 50 percent energy savings over competitive laser products, using Instant-on Technology. Reduce your impact on the environment and use up to 50 percent less paper with two-sided printing. Reduce packaging waste with pre-installed toner cartridges—no boxes, wrappers or manuals.Minimize your environmental impact by implementing energy-saving settings across your entire fleet with HP Web Jetadmin. Print documents rapidly with speeds up to 35 ppm letter/35 ppm A4 and a first page out in as fast as 9.5 seconds.Handle a steady stream of print jobs with 512 MB memory—expandable up to 1 GB.Easily integrate enterprise-ready networking and robust security options into your printing setup. Achieve consistent, professional color quality on every print job. Advanced color features ensure every print job produces professional-quality, color documents.Receive consistently outstanding results, using reliable supplies designed specifically for your printer.Save IT time and make printing easy for every user in your managed environment by using the HP Universal Print Driver and HP EasyColor.Print on a broad range of media types—including everyday and glossy papers—ideal for presentations and marketing materials. This versatile printer can also handle a wide variety of sizes—A4, letter, labels, envelopes, transparencies and cardstock. Produce documents efficiently with a paper capacity of 600 sheets—expandable to 1100 sheets.Reduce installation and setup time—Original HP toner cartridges are pre-installed.Improve printing efficiency with HP Advanced Auto Media Sensing and a 4-line color control panel with auto-navigational help.Twenty-five years of continuous innovation and reliable, professional-quality printing—HP LaserJet remains the brand businesses count on. Get up to 50 percent energy savings over competitive laser products, using Instant-on Technology.Reduce your impact on the environment and use up to 50 percent less paper with two-sided printing.Reduce packaging waste with pre-installed toner cartridges—no boxes, wrappers or manuals.Minimize your environmental impact by implementing energy-saving settings across your entire fleet with HP Web Jetadmin. 1Energy savings based on HP testing using the ENERGY STAR(R) program’s Typical Energy Consumption (TEC) method on HP LaserJet products with Instant-on Technology vs. top competitive models as of March 2009. 2Automatic two-sided printing is available on the dn model only. 3The n and dn models come with standard 600-sheet paper capacity expandable to 1100 sheets with optional 1 x 500 paper tray. 4Program availability varies. HP print cartridge return and recycling is currently available in more than 49 countries, territories and regions in Asia, Europe, and North and South America through the HP Planet Partners program. For more information, visit: http://www.hp.com/recycle. 5Color access control capabilities vary from device to device. Buyer’s Lab gave HP color control features an “Outstanding Achievement” award in December 2007. 6Not included. Please purchase separately. 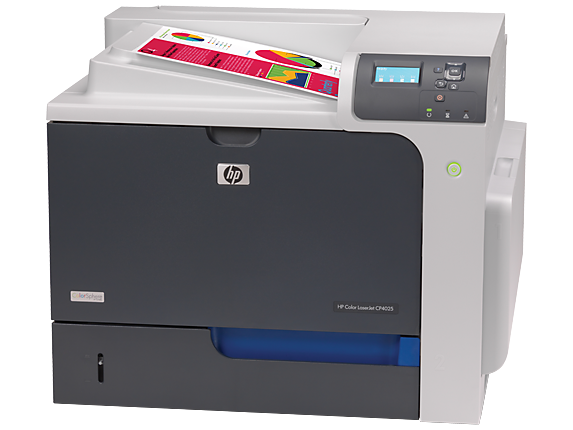 7HP EasyColor is available on HP Universal Print Drivers—available for free download at: http://www.hp.com/go/upd 8The n and dn models feature 512 MB of memory—expandable up to 1 GB. 9 An FCC Class A emissions compliant device meets the less stringent (higher) levels of emissions allowed by the FCC for a product operation in a commercial environment. An FCC class A device cannot be marketed for use in a residential environment and an FCC class A device should not be purchased for use in a residential environment due to the increased risk of interference to radio communications.